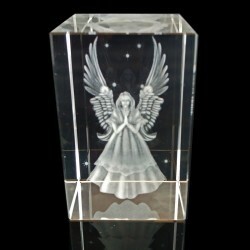 Crystal size 80mm x 50mm x 50mm approx An elegant clear toughened crystal with a 3D engraved Gu.. 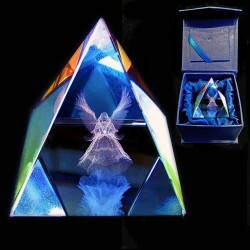 This beautiful AB rainbow coated velvet base gives this paper weight a wonderful colour, that chan.. 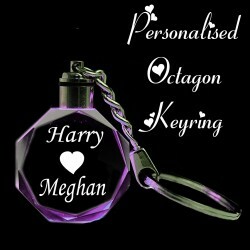 This 2D His and Hers Personalised Octagon Crystal Key Ring/Chain can be engraved with any text of ..